Are you an Odessa College student taking at least six credit hours of course work? If you are, then you already have a chance to earn a brand new 2019 Ford Mustang! 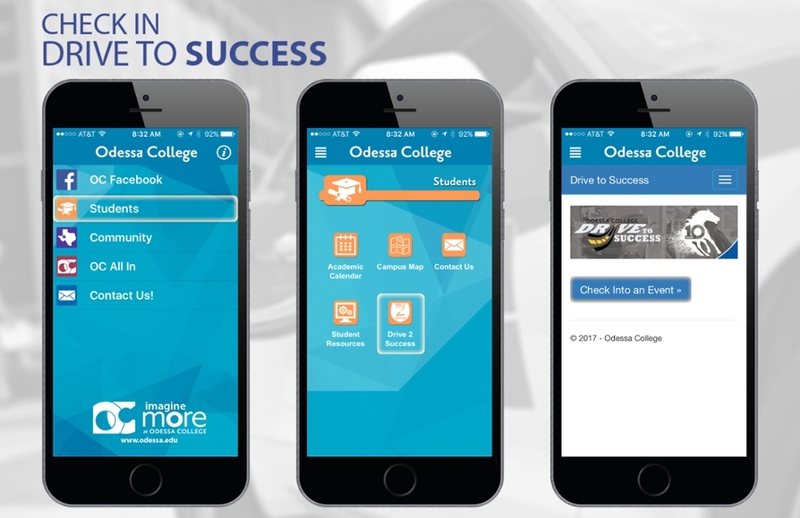 Just by registering for at least 6 credit hours and attending classes, you have been automatically entered in the Drive to Success® participant pool! 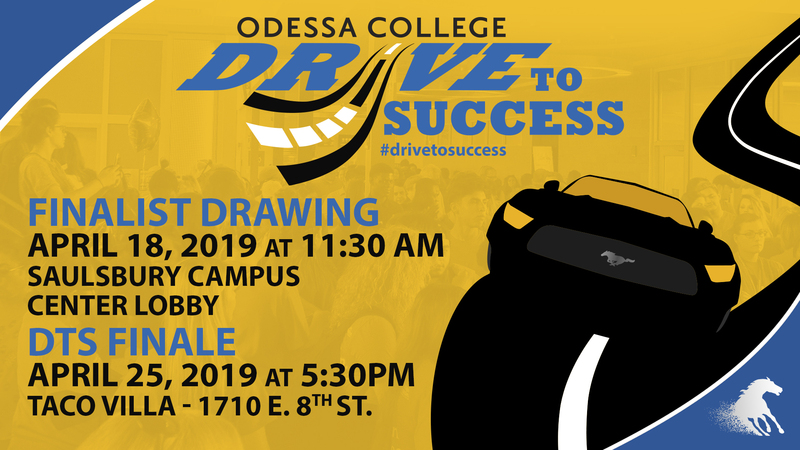 During the 2018-19 academic year you can attend campus events, go to tutoring, and take part in other Student Life activities to get more DTS points - and more chances to earn one of the Drive to Success® vehicles! Also, ask your professors how you can earn even more DTS points! OC Professors can each award additional DTS points to students who go above and beyond basic class requirements. Remember, not only could you earn a brand new car, but the student with the most DTS points at our finalist drawing in the Spring semester will earn a cool $1000 check! Improve your chances to earn a cool car or cool cash - be active and earn more DTS points! The most involved student (the student with the highest total of DTS points) will automatically earn $1,000 at the end of the school year! The more engaged you are in and out of the classroom, the more chances you will earn towards the 2019 Ford Mustang and the student with the most total DTS points WILL earn the $1,000 prize. Check out the Drive to Success Newsletter in your email to find out more!